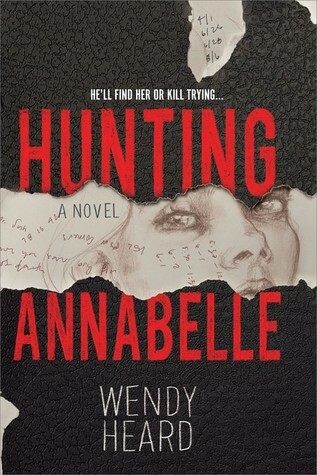 I requested an eARC of Hunting Annabelle by Wendy Heard from Netgalley. I don’t reach for crime/thrillers a ton, but this one drew me in. I’m really glad I gave it a chance, I found it really thought-provoking and compelling. Read on to find out what I liked about this twisty-turny book. What initially pulled me toward this book is Sean, and he did not disappoint. He lives & struggles with some form of mental illness, namely Schizophrenia. The story takes place in the mid-’80s and we have learned a lot about what Schizophrenia is and is not since then. You’ll have to read this one yourself to find out if Sean was misdiagnosed or not. Sean’s perspective as a narrator is highly unreliable and very emotional. He constantly questions his choices and motivations in a way that artfully depicts his anxieties about his own behavior. The character of Sean, I think, is enough to give this book a try if you’re a fan of serial killer stories. Hunting Annabelle is a mystery novel, at its heart. Sean is trying to find Annabelle after seeing her taken off the street right in front of his eyes. His mental illness makes him question everything he sees, to the point where even he suspects himself as Annabelle’s kidnapper. It makes for a compelling story to be sure. I never felt like I lacked the information to solve the case, but I was still surprised by the ending! I think a lot of readers will be particularly struck by the ending of this book. I won’t say too much, but it felt like something unique to me. Again, if you are a frequent reader of Serial Killer stories I think this is one to add to your TBR. It reminded me a bit of You by Caroline Kepnes mixed with Sadie by Courtney Summers. If you’ve read Hunting Annabelle I would love to know your thoughts! I would also love more thriller recommendations. Thanks for reading! Note: Quotation taken from an unfinished version of the book and is subject to change. Great review. I rarely read books like this one but it sounds really interesting. Thanks! Yeah it’s a little heavy thematically, definitely TW for abuse of all kinds, and some violence but I expected all that going in. I couldn’t finish ‘You’ but I really enjoyed this one!